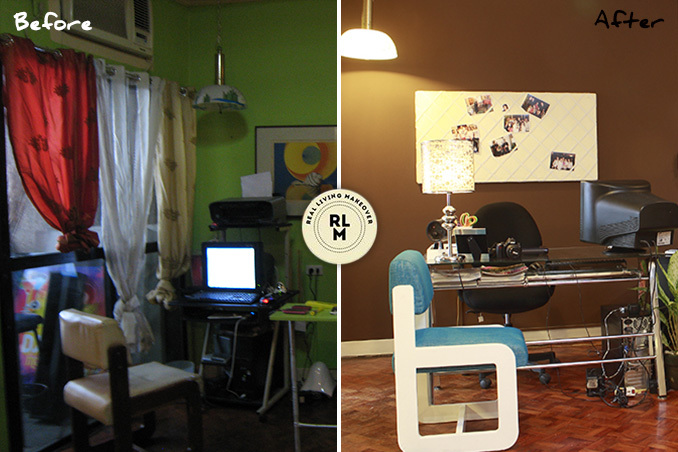 Events planner Charlene Comiso had a vision for her studio unit. In the past, she attempted to decorate the space by herself, but she wasn’t satisfied with the result. Presented with an opportunity for a Real Living makeover, several ideas came to mind. Charlene wanted a sleek and modern feel to match her line of work, but the space still had to be cozy enough—after all, she would invite her friends over or accommodate her relatives from abroad when they are in town. Interior designer Vivian Gacad made Charlene’s visions come true. She used a totally different color scheme, reupholstered some pieces, and ensured that the overall ambiance is in line with the event planner’s personal and professional needs.